» The platform is made from MS Plate and cladded with SS Sheet. 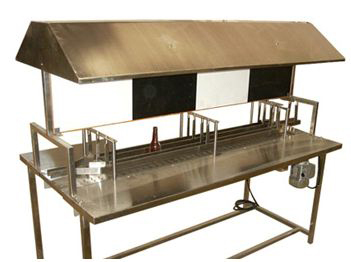 It is provided with guard & guide rail to direct & divert the bottles/containers. » The table is completely covered with SS Sheet as per gmp requirement.